The new Playstation console has been confirmed by Sony, but will not be unveiled during the E3 conference. Andrew House, president and CEO of Sony Interactive Entertainment, announced that they will release a new version of the PS4 in an interview with the Financial Times. Unfortunately, it will not be unveiled during next week's E3 conference in Los Angeles. We've all been on pins and needles waiting for E3 to begin, in hopes that Sony and Microsoft will officially announce new consoles this year. Turns out, we didn't have to wait until Monday as Sony made their announcement today. 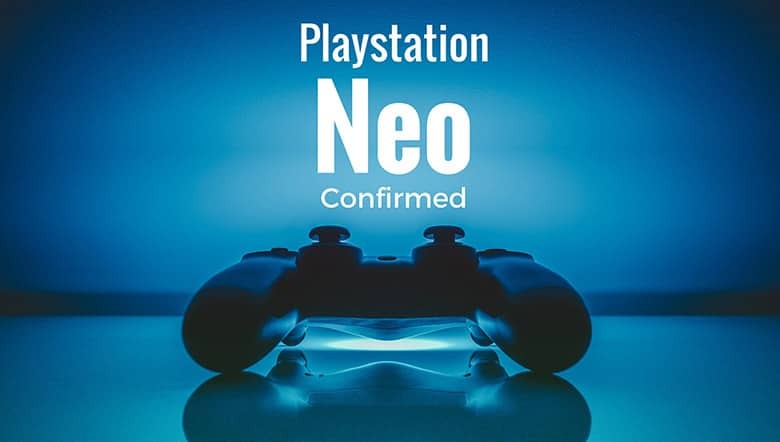 However, House said Sony will not be showing off the new Playstation console -- rumored to be called Neo -- as it's not quite ready to be shared with the public. The new PS4 is not meant to replace the existing console, but instead complement it. It will be more expensive than the current PS4 (surprise), but we still don't know by how much. Rumors has it priced at $399. This means the existing PS4 will continue to be sold alongside the new version, and the majority of new games coming out will be compatible with both models. “All games will support the standard PS4 and we anticipate all or a very large majority of games will also support the high-end PS4,” House told the Financial Times. The new Playstation console will support gaming in full UltraHD, so you'll finally be able to take advantage of your 4K TV when playing video games. Both the new and existing PS4 will be compatible with Sony's upcoming virtual reality headset. We're expecting that to hit the market later this year. For a longer preview of what we're expecting to see during E3 regarding the PS4 Neo and new Xbox One, read our full preview here.